Home » Gardening » Offering Landscape Design, Landscape Consultation to Your Nursery Customers. Offering Landscape Design, Landscape Consultation to Your Nursery Customers. Recently this came up in Our Members Area so I thought I’d share the conversation here for a couple of reasons. 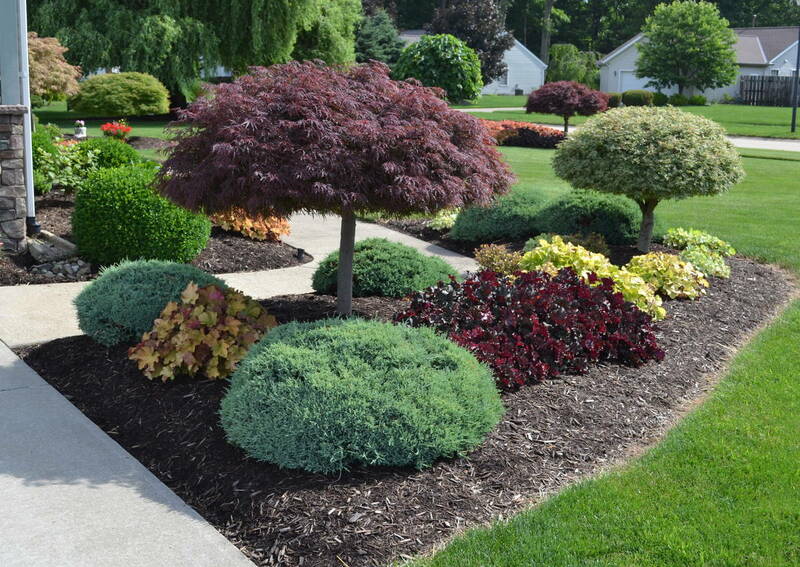 A landscape design with two Japanese maples in a fairly small bed. I want you to know the quality of information exchanged in our members area on a regular basis. 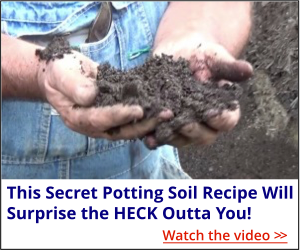 This is really good information and a great way for a person with knowledge of plants to earn extra money. What amazes me is that so many of our members joined the group with little to no knowledge of plants, plant propagation, landscaping or landscape design but before long they truly are experts that people in their community look up to for advice. (Rita), more and more, my customers are asking me to come over and consult and design their garden beds. I’ve held off for many reasons in the past, but feel like the time is right now. Wondering Mike and others what you have charged? Are costs figured by the job, or by hour? If by the job, I assume I include a print out to the customer of the design and plants that we talked about plus my time for the consult and time to get job prepared and done? Thanks for your input! Same bed as above, different angle. (Mike) Here’s the thing. A person with a $500,000 house has no problem paying a few thousand for a good design and consultation. But it really depends on whose asking you for design help. I used to do design on new homes, about 20 years ago for $39.00 but I specifically targeted those that I knew were more than likely do it yourselfers, but at the same time, more than willing to spend a few thousand for a nice landscape. I’d design the landscape, nothing more than a sketch with colored symbols, then I’d give them a plant list with a price to deliver the entire list. I’d mark out the beds for them using inverted, ground marking spray paint and guarantee the plants to live for a full year providing they followed my instructions. Back then when I’d mail this sales letter to low priced homes, new homes but around $90,000 no one would bite. Even at $39 for a professional landscape design, nobody that lived in homes in the price range would take me up on the offer. If I sent it to $250,000 home no one would bite because they simply hired it all done. One guy actually mailed the letter back to me, marked not interested, but he did open it and read it. He wanted me to know that my offer was an insult to a person of his status. When I mailed the letter to $150,000 to $200,000 homes (keep in mind this was back in the 90’s) all kinds of takers. The $39 was nothing more than a qualifier but I often delivered $1,500 to $2,000 worth of plants to each job. Some of those deliveries only took an hour and I profited $1,000, maybe more. Never had to replace a plant because they followed my instructions to a tee. Might have replaced one plant, really can’t remember. See? Those people wanted a really nice landscape, but didn’t want to give a landscaper $5,000 to do it. A Lavender Twist Weeping Redbud tree and a Crimson Queen Japanese maple in the same bed. (Rita) This is great information Mike. Thank you for taking the time to answer. I do know she said she had raised beds, and wants me to take a look at those. She also said most of her area out back is shaded. I’m sure I’ll understand her needs vs. wants when I go out there this week. Thanks again to you and David, this helps a lot! (Mike) The design and deliver thing is a good way to land those consulting clients. Make up a flier and give to all your customers and contacts. But in the flier I probably wouldn’t mention the deliver part until after you’ve given the consultation. It’s starts out as a pretty simple service for fee relationship, a number they are comfortable with. Take with you a can of inverted marking paint to mark out where the beds will be. Explain to them how to prepare the area before installing the topsoil. Topsoil should be 8″ thick. Tell them how much soil to order. One cubic yard will cover 40.5 square feet when installed 8″ thick. 1. Deliver all of the plants on the list to their home. Free delivery! 2. Place the plants in the pre prepared beds exactly where they should be planted. 3. Promise to show them exactly how to install the plants so they’ll thrive. 4. Promise to give them a weed control product that really works. (just build into your price enough preen to do the job and tell them exactly when and how to apply it so it actually works. 5. Promise to guarantee the plants to live for one full year providing they install them exactly how you tell them to. This starts out with a very simple service for fee for them, but when you leave they have in their hand a complete blueprint of not only what to plant and where to plant it, but you’ve made it brain dead easy for them to acquire all of the plants and get free delivery. You’ve made it very easy for them to get a professional landscape at a fraction of the cost. Almost every one of these that I quoted bought the plants from me. You have to mark up all of the plants 100%, but you have to buy them wholesale so you are still competitive. The plants that come from your nursery are almost all profit, those that you buy elsewhere are at least 50% profit. If you have to replace any plants you can easily afford to do so because your profit was very high on each plant. But here’s the kicker. These people do exactly what you tell them to do because they don’t mind hard work, they want a nice landscape and I and as I mentioned above I might have replaced one plant and I did a lot of these deals. Replacing a plant is advertising. As soon as somebody calls, get out there, replace the plant, maybe give them a small gift. Then suggest that they post a review on your facebook page or on yelp. I used to charge $39 for the design fee but that was pre 1996. Consider $47. It’s an extra $50 bucks that could turn into $1,000. Same bed as above, different angle. The accent plants in this bed are three different kinds of Coral Bells. (Comment from a third member) Rita, you aren’t the only one. We haven’t even had our first plant sale and I already got a request for a garden design from someone with a business in a historic commercial building (store on the first floor. I’ll bet it was an apartment above, but it might have been a lawyer). It’s not her building, so she’s not interested in shrubs per se, but she is interested in a garden with lots of color all the time and a real “grandma’s cottage garden” look. It’s going to be a bit of a challenge because it’s basically a square front yard with a cement walk in the spring middle. No fence or any other separators from the sidewalk (I have a horrible vision of people letting their dogs run through everything). I’m thinking of recommending short roses along the front to discourage dogs. I can’t think of anything else plant-wise with flowers which would substitute. (Rita) Mike, here is another question, the customer said they’d get the top soil and mulch. So for pricing purposes, would you quote the job differently than if you were supplying it? 1. Marked out the bed and told the customer how to prepare the bed before putting the topsoil in. 2. Told them approximately how much soil to order. 3. They put the soil in the beds then called me to let me know they were ready for plants. 4. I delivered the plants and placed them in the beds where they were to be planted. 5. Customer paid me, installed the plants and ordered the mulch. As far as pricing, I was only charging them the design fee which they paid on the first visit, then I charged them retail price for all of the plants. If your crew is doing the work of preparing the beds and moving the soil and mulch then you have to add that labor into your quote as well. Let’s say that 4 yards of soil and 4 yards of mulch delivered to the job come to $300, no matter who writes that check you need to add $300 to your quote for labor. If you were paying for those materials then you would add $600 to your quote. Again, it’s always best to give them just one price with no itemization. What I learned in all of my years in the business is that people who really want itemization are bargain hunters who tend to be a pain to work for. You want to work for somebody who is just happy to get it done and is comfortable with the price that you charge. Remind me to do a blog post about re-landscape jobs. I did a post with video etc. a couple of years ago but it wasn’t the ideal house. Most of the homes that I did were much easier than that. And I have to tell you, I miss that business. I loved working for those people and I made a lot of money making them happy. But what I need to do is see if I can find that ad and post it to the blog so you and others can see word for word what my offer was. Today, if I had the time and ambition, I’d run that ad on facebook and target people between 55 and 65, facebook’s demographic only goes up to 65. If I suddenly need to make $5,000 right now? I’d run the ad and hire a three person crew. I could do that and be working in a matter of days and have the money in my pocket in a week. Really. But . . . I have been doing this since 1976. I’m good at it. A person just starting out? Start doing mulch jobs and small landscaping gigs. That’s how I got started. But if you already know plants and know how to wholesale buy, then no reason you can do complete landscape jobs. And by complete I only advertised the front of the house. We often did the sides, but I truly wanted not part of the lawn, the backyard, brick walks or patios. Been there, done all of that. I want to be done, start to finish in 6 hours. There’s a ton of valuable, profit producing information in this post. Conversations like this happen in Our Members Area everyday. Most are about growing and selling small plants for profit, but landscaping and landscape design do come up quite often. I want my niece to have this information and access to Thebackyardgarden. She needs to visit https://mikesbackyardnursery.com/, we don’t exactly provide that kind of service.